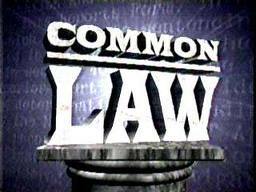 If you live with someone without being married, you are considered to be in a common-law relationship. 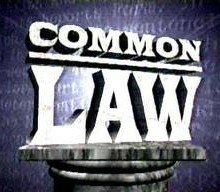 There is no single definition for common-law spouse as the definition changes depending on the reason you are asking the question. Would be the parent of an adopted or natural born child with the other person. For Family Law reasons – including spousal property rights, spousal support, etc. – it is crucial that you know the correct definition of common-law spouse before you make any decisions and/or sign any cohabitation or separation agreement. One fundamental distinction between married and common-law spouses is that couples who live together DO NOT have the same rights as married couples to a share in the value of property, including the home they live in, unless the property is in both of their names. Without a cohabitation agreement, the only alternative to the lack of a common law spouse’s legal right to share in the value of property upon separation is for you to make a claim against the common-law spouse’s property using “equitable relief” claims such as constructive and resulting trust claims. In my opinion, these claims are expensive to pursue, very difficult to make out and still do not guarantee that you will receive 50% of the value of the property in question. If you are thinking of living with somebody or are already in a common-law relationship, you should consider speaking to a Family Law lawyer to discuss ways that you can both protect yourselves, your assets and your children, if your relationship was to breakdown in the future. Separating is a sad event and most people do not want to think about it; but you owe it to yourself and your children to plan for the future to ensure you will be financially secure. Previous postReal Estate Lawyer Fees in Toronto Next postI am the Estate Trustee Do I Have to Probate the Will?